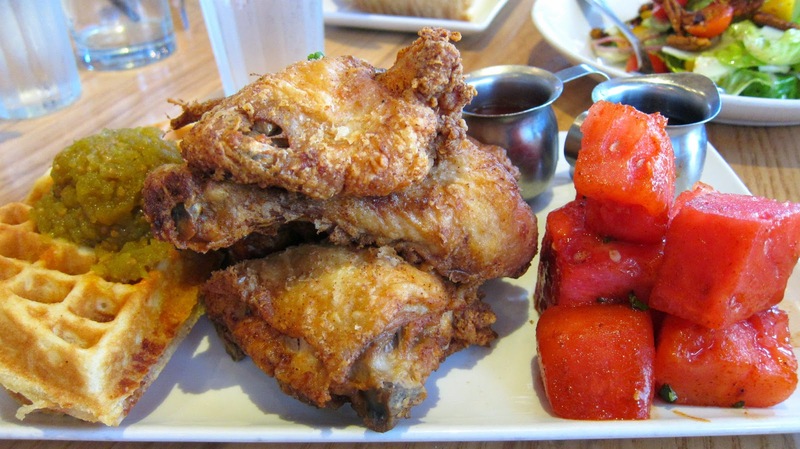 Yardbird Southern Table – Overworked. Underfed. I think everyone would agree that Yardbird was the foodie highlight of our Miami trip. The food was spot on, well executed, and delighted all of our hungry tummies, which were left with food babies just before our privately chartered boat trip for the afternoon. No matter though, I just never took off my dress/cover up! Just kidding, it wasn’t hot enough to get all skimpy and into the water anyways. I am generally not a fan of Southern food because it can be pretty heavy and light on the vegetables. Whatever vegetables they do have are usually deep fried or braised to an indistinguishable mush. I guess looking back at the meal, vegetables weren’t necessarily the start of the show, but the food was a more sophisticated Southern take that appealed to my modern sensibilities. Anyone who shares a love for patés is one step closer to being my best friend. Care Bear is one such person, Ho Bag and Lo-Ma Linda being a few others. 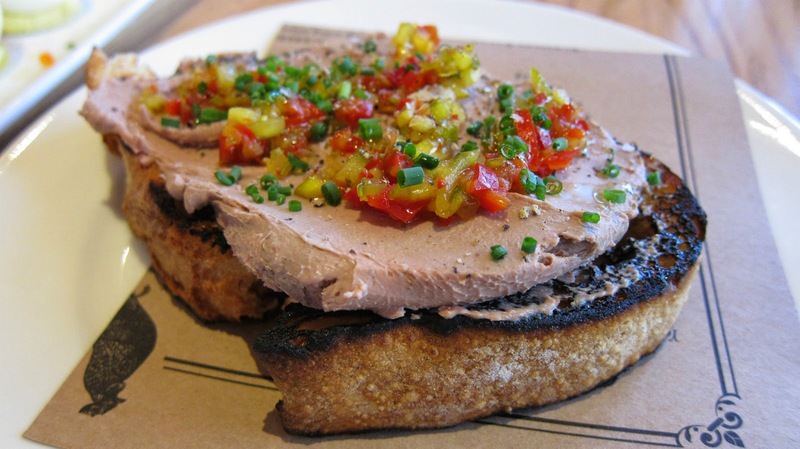 Care Bear and I grew up in a household where paté was a common food group, which probably explains our affinity to what some might view as “offal spread.” The thought of taking animal innards and pureeing and seasoning it into a thing you spread over toast sounds frankly unappetizing. But to me, paté is one of my favorite foods. We split this order into thirds, so I was definitely left wanting more. The relish definitely added a unique twist. 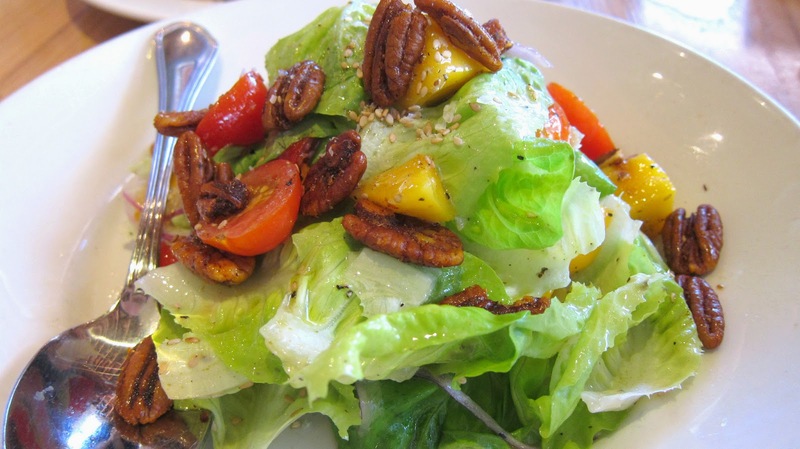 I found the salad to be bright, tangy, refreshing, and comforting with the addition of the pecans. Somehow, everything seems more Southern with pecans. 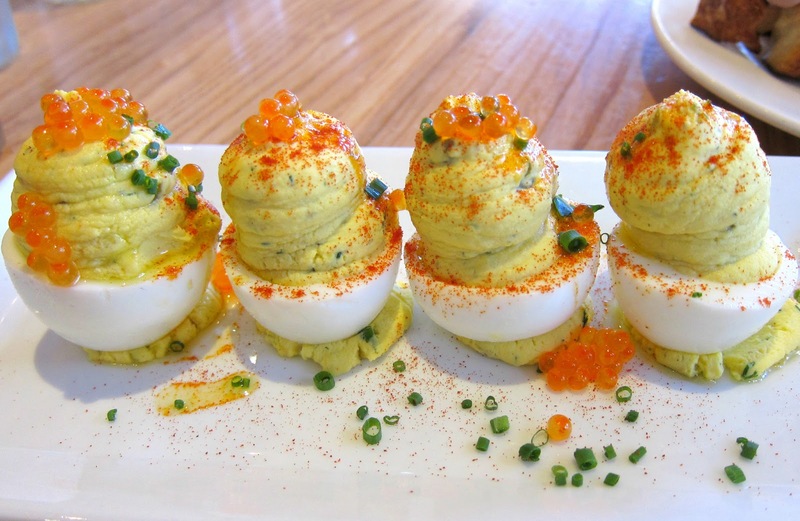 Try as I may, I don’t go gaga for deviled eggs. I think it’s because I don’t naturally love the taste of eggs, and that stems mostly from my distaste for a cooked through yolk. Some preparations do a good job kicking up the yolkiness so it’s not so offputting to me. This was a good version. The roe added a lot of brineness. 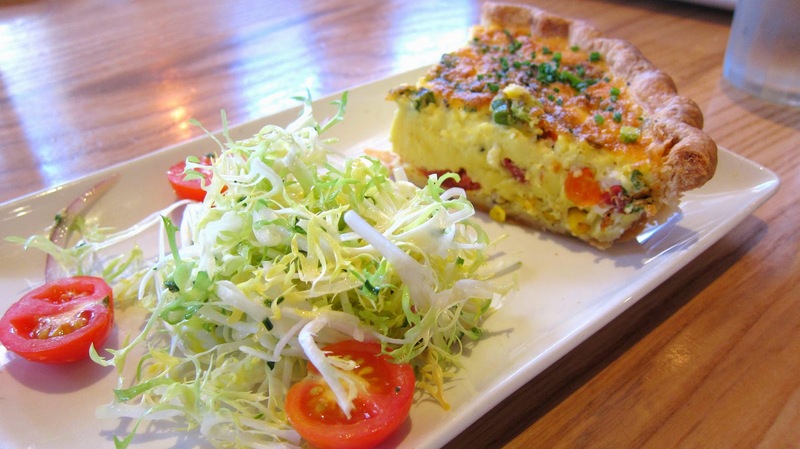 I’ve had better quiches, but this was still solid. This was a surprising favorite. I adore a good ripe tomato, so the thought of breading it and deep frying it offends me a little bit. Why ruin what was already so perfect in its natural state? Though, I think every time I’ve had a fried green tomato, I’ve liked it. A prime example of when reality fails to match up with what’s in our heads. Whoa, getting too philosophical for a food blog. 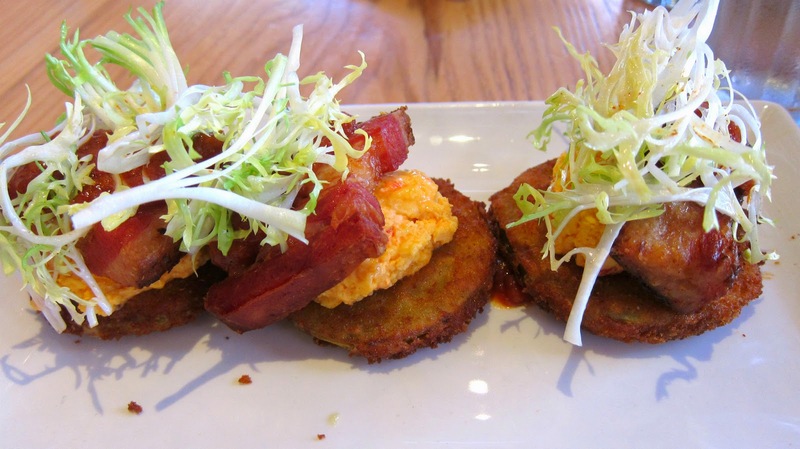 The pimento cheese, as visually unsightly as anything electric orange can be, was key in bringing the B and T together. You must get this one! 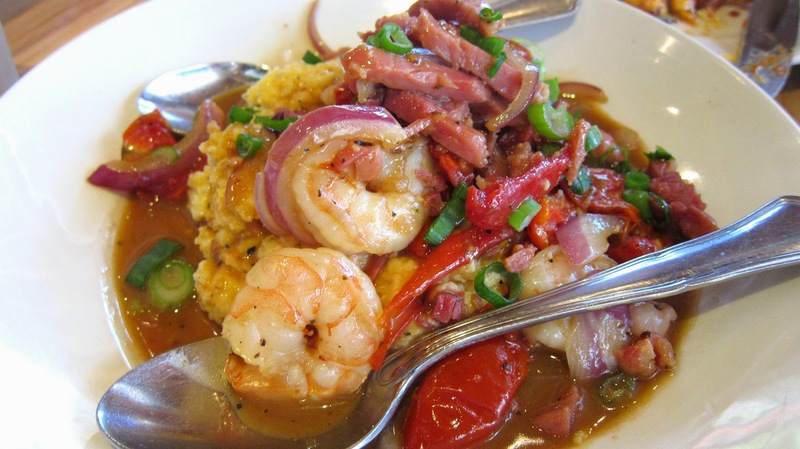 The last time I had shrimp and grits was in San Francisco of all places and it was one of the best things I’ve eaten. This was a close second, but was a tad too salty. The salt was actually off-putting for some, but you know me and salt. The ham, or something really added the big punch of umami here. We opted for 1 sweet dish among the myriad of savories. This wasn’t my first choice since I’m not big on bananas or peanut butter, but J-O-T was in HEAVEN, like pure bliss HEAVEN. You should have seen her eyes just glaze over with each bite. It’s safe to say Yardbird was a big hit. The ambiance was great, our server was friendly, the space was expertly designed and decorated, and the food could do no wrong. 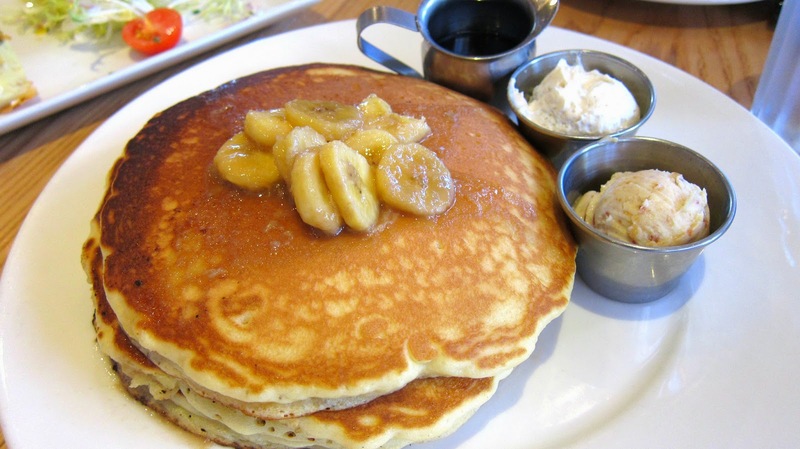 I recommended this to Ho Bag, who recently went to Miami for a bachelorette party, and she loved it as well. I guess it should be no surprised then that Yardbird was a James Beard semi-finalist for Best New Restaurant and Best Chef, South in 2012. If there’s one thing you do in South Beach, aside from check out and flirt with the HOT HOT men with the rock hard bodies, please dine at Yardbird Southern Table. You won’t be sorry. I promise.